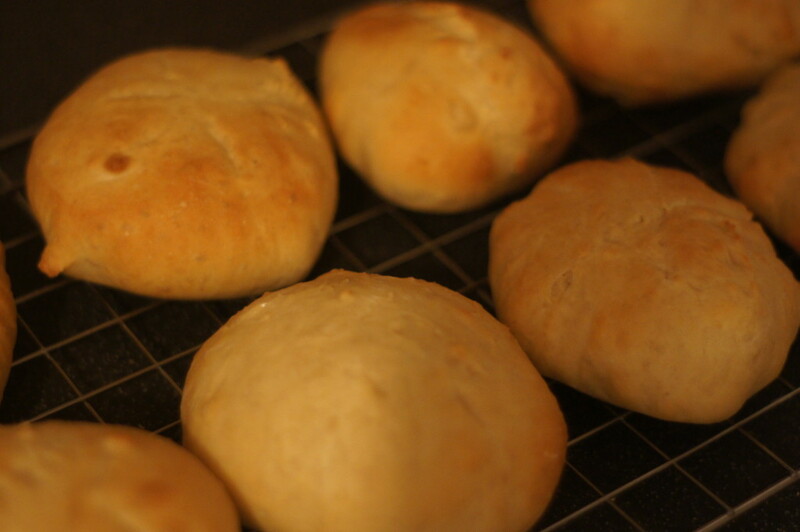 This recipe will make 8 large rolls.They can be frozen after baking. After baking allow them to cool completely. Wrap well in clingfilm and tin foil (to prevent freezer burn) and freeze for up to 3 months. To defrost loosen the tin foil and clingfilm and leave at room temperature for several hours before serving. They can be warmed by placing them on a baking sheet for 10 minutes in a moderate oven. 1) Combine the flour, salt and dried yeast in a large mixing bowl. Rub the butter into the flour mixture using your fingertips until you have a mixture resembling fine breadcrumbs. 2) Combine the warm milk and water in a jug and pour into the flour mixture, mixing well with a wooden spoon until you have a soft dough. 3) Turn out onto a lightly floured work surface and knead for 15-20 minutes until you have a smooth, elastic dough. Place the dough in a large, oiled mixing bowl and cover with oiled cling film. Leave the dough to rise in a warm place until doubled in size (this will take roughly 1 hour depending on how warm your kitchen is). 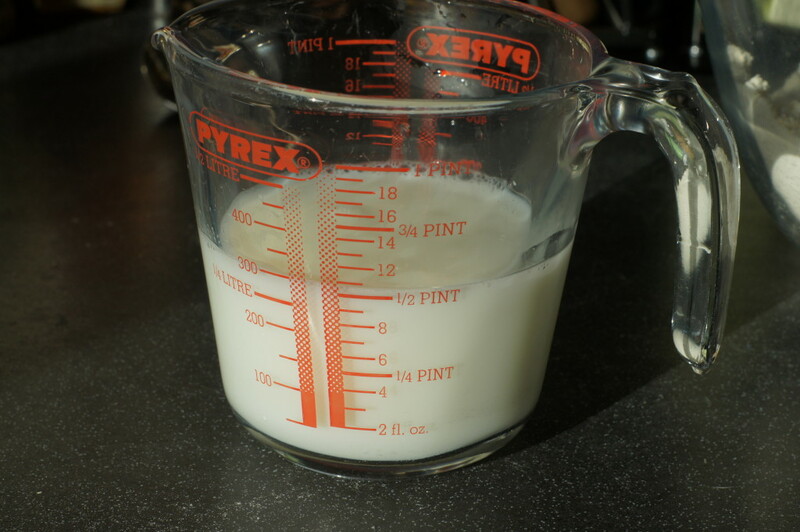 4) After your dough has proved and doubled in size, remove the dough from the bowl and knock it down using your hands. Divide into 8 even portions and shape into rolls. Arrange, spaced apart on an oiled baking tray and cover with a piece of oiled clingfilm, leaving it to prove in a warm place for a further hour until doubled in size again. 5) Remove the clingfilm when ready to bake and make cross incisions in their tops. Bake the rolls for 8-10 minutes until golden and risen. 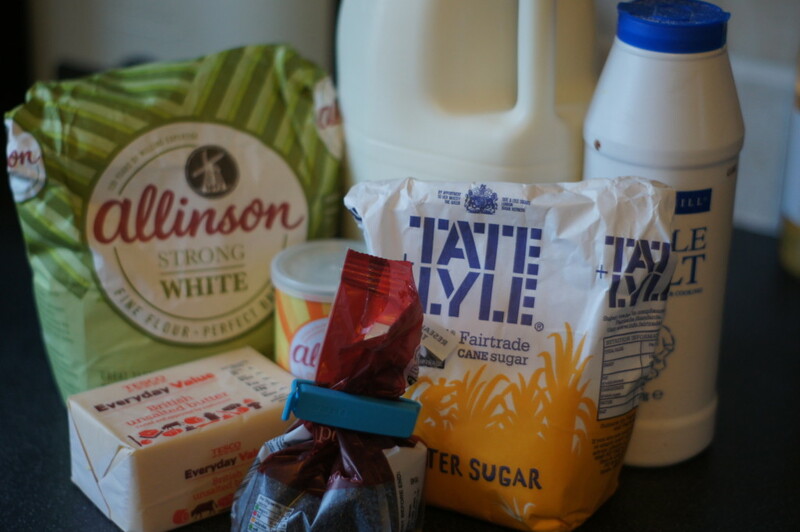 6) Meanwhile, whisk together the milk and caster sugar until the sugar has dissolved. Remove the rolls when baked and brush the tops with the milk glaze. 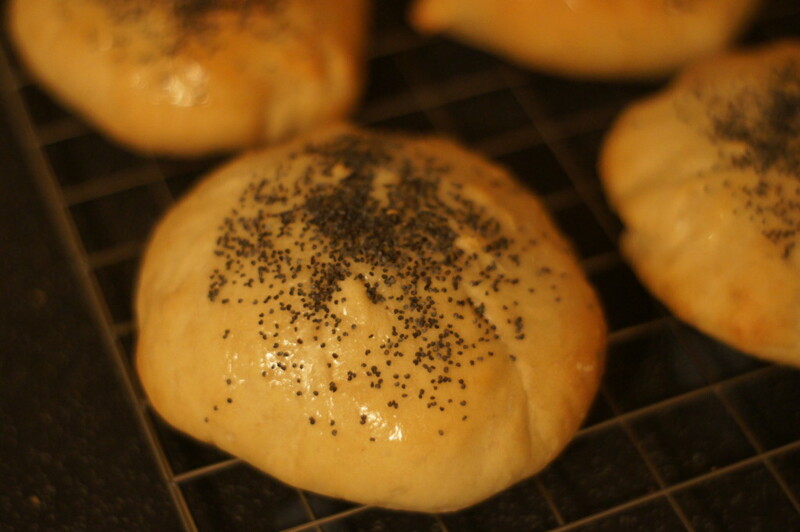 Scatter the poppy seeds on top so that they cling to the rolls. Allow to cool on a wire rack before serving.